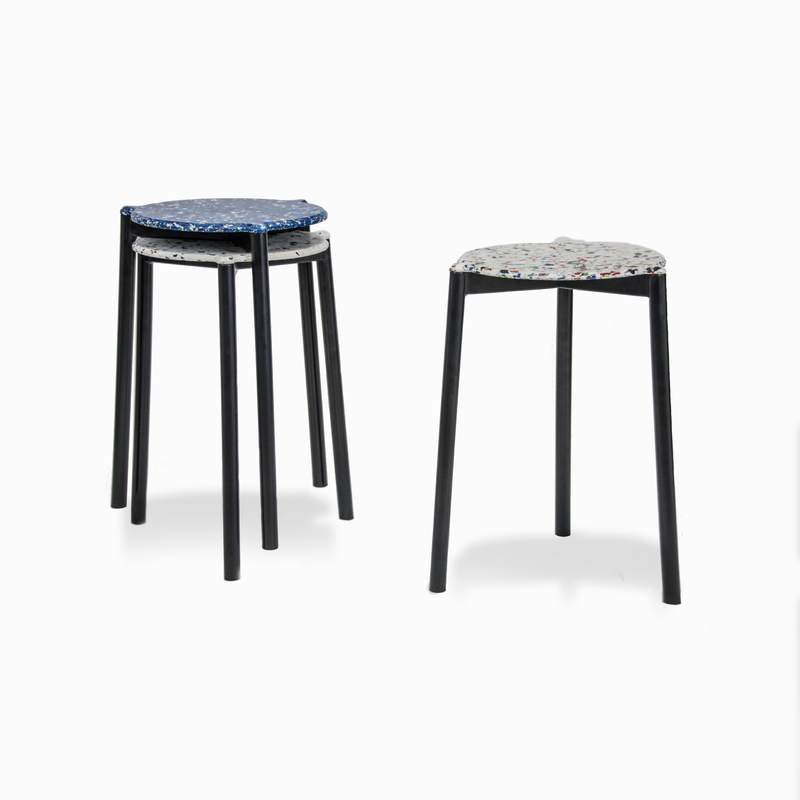 With a lightweight steel structure and a thin recycled plastic seat, the Confetti stool is stackable and comes in infinite variations of recycled plastic motives and colors. 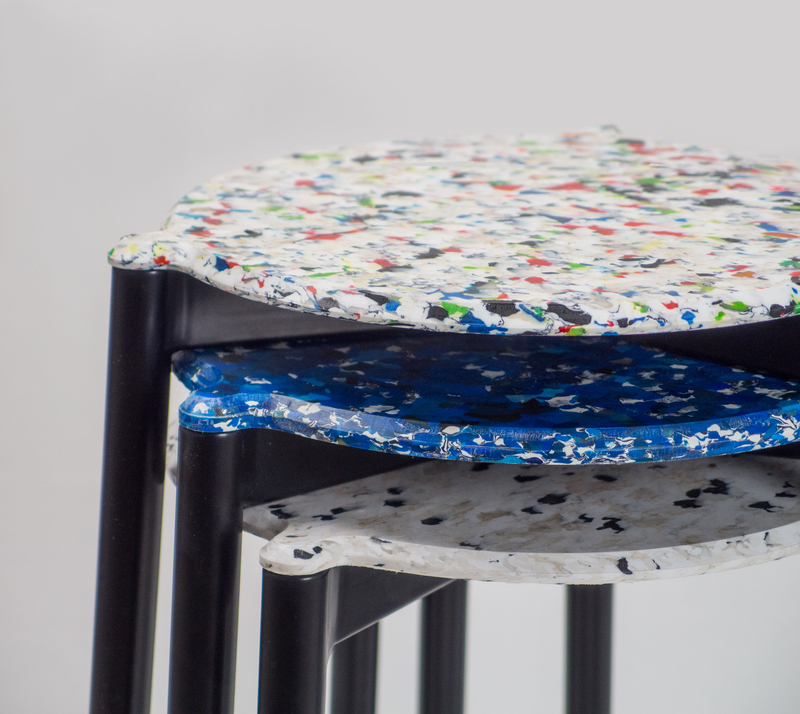 The CNC-cut seat uses recycled HDPE , based on waste recovered from the atlantic coast of Senegal. 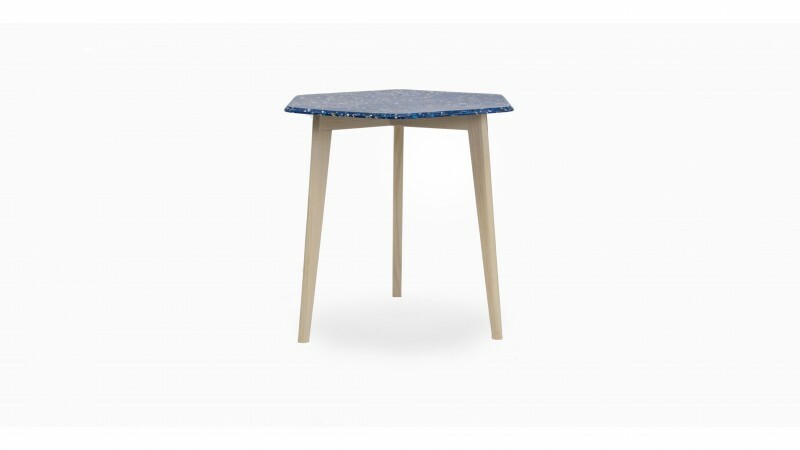 It comes in different color tones and also allows customizations.